May 10, 2017 – I tried it a second time, taking advantage of the $10 credit on the second order, which pretty much covers the delivery cost. Updates noted below in italics. It’s been almost a year since I reviewed Superstore’s Click and Collect program, and I’ve been a regular user since. The pickup is usually smooth, but the store is out of my way, and they’re often out of several items from my order. Annoying. Enter Save-On-Foods, who is now offering delivery as well as pickup in Calgary. 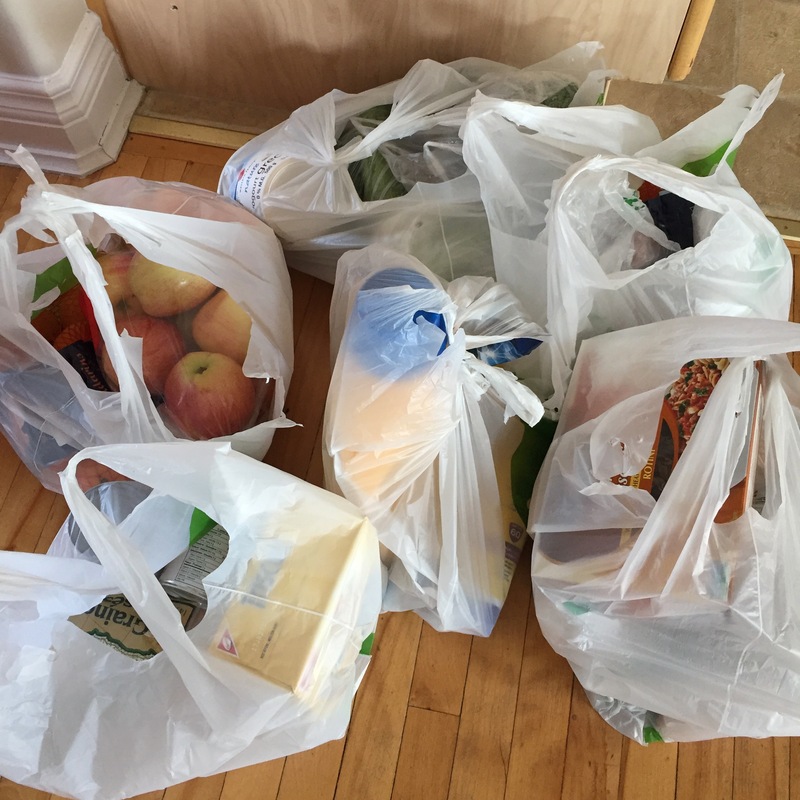 I’m all for anything that makes grocery shopping easier, so I tried it out. Cons: They were out of two items I’d ordered just the night before. Inventory management is hard for everyone, it seems. And despite the name, you’ll pay more than at Superstore, between the delivery charge and the actual food cost. See below for details. Once you set up your account, you can select a delivery day and time, as shown below (click to enlarge). Get your order in by 10pm and you can have it the next day. Forget something? You can make changes until 10pm the night before your delivery. The driver called about 15 minutes before arriving, to confirm that he was on his way. He was friendly and relaxed, in contrast with many people I’ve encountered at Superstore. Unfortunately, although I clicked the box to allow the shopper to make substitutions, they felt that there was no appropriate substitution for my out-of-stock items. This is where being at the store wins out, because you know best what will work for you. Update: The second driver was much less friendly, especially when I inquired about the missing items and plastic bags. If you know me, you know I’m nice about these things, but he pretty much said, “I’m just the driver,” and bolted. Customer service fail. One of the things I like about Superstore’s Click and Collect is that you can access the ingredient list and nutrition facts for the products. Not so with Save-On. You’re on your own. 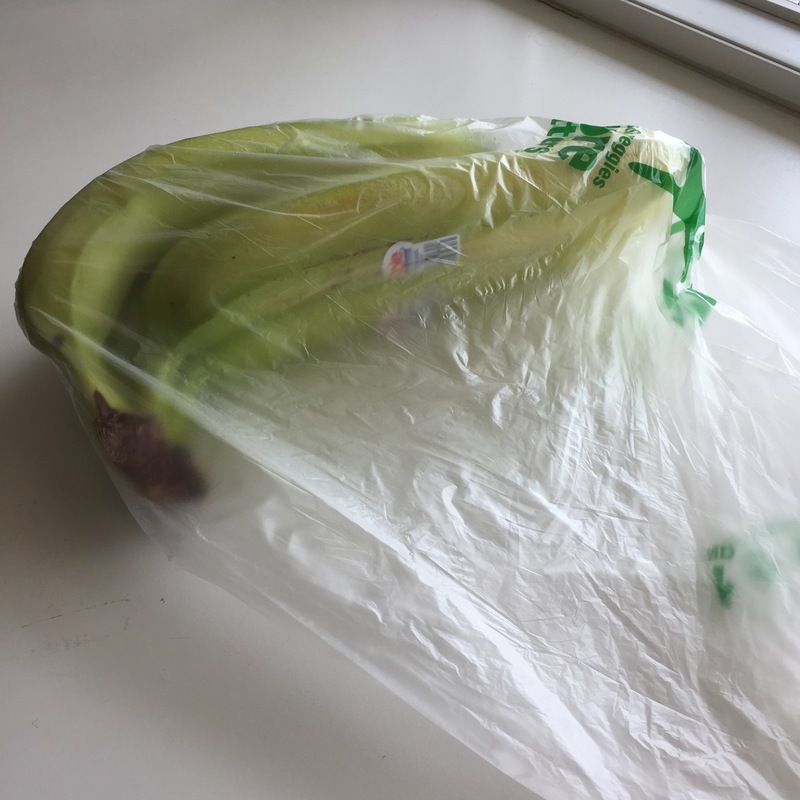 Do bananas really need to be bagged? Both services go overboard with the plastic bags. 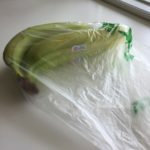 There seems to be this need to keep produce ultra-protected. And they put the rest of your food in a. lot. of. bags. Wow. The good news is you can make special requests for your shopper, including not to use bags. Superstore actually prompts you at checkout to ask if you’ll bring your own. Update: I emailed to request that my groceries go straight into the bins, and received a friendly confirmation in return. And then this. Disappointing. Very wasteful if everyone who uses this is getting a boatload of plastic bags each time. Will you “Save-On” your food bill? It doesn’t appear so. 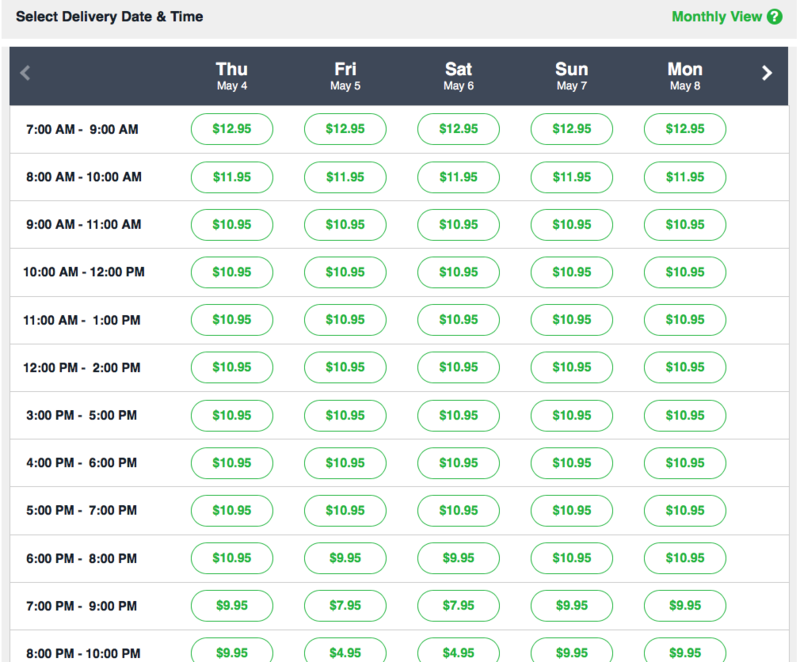 While pickup is free, delivery will cost you from $5 to $13, depending on the time of day. Really, I should say it’s $8-$13, unless you want to have your groceries delivered Friday and Saturday nights from 8-10pm. (See above.) Note that for now, they’re offering free delivery on your first order and $10 off your second. And despite their name and guarantee, I’ve found that the food itself costs more than at Superstore. As I explained in my previous review of Save-On-Foods, the guarantee is for the lowest price on the 850 most commonly purchased items. Sounds good, but they can easily make that up on other products in your cart. 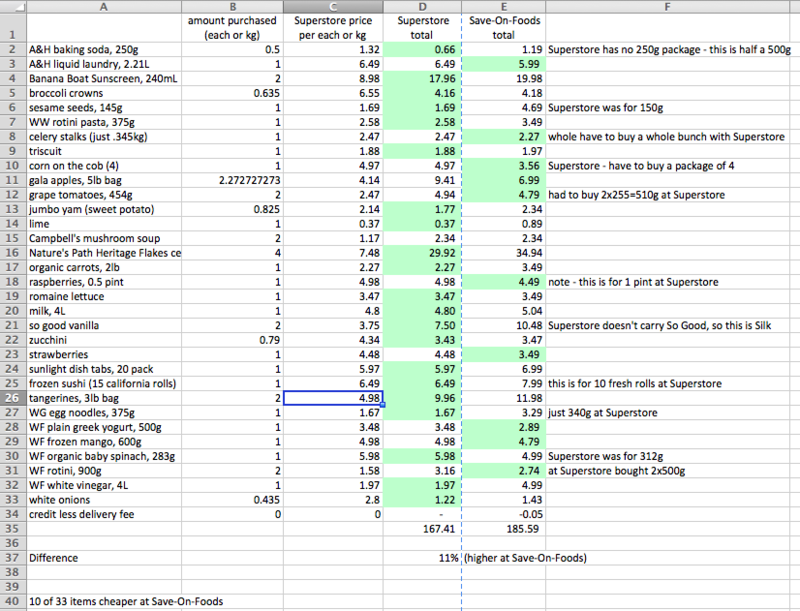 For my order, Save-On-Foods was 9% more expensive than Superstore, consistent with my previous comparison. That might not be a big deal if you prefer the delivery or the more civilized shopping experience at Save-On-Foods, but the misleading marketing ticks me off, so I have to point it out. 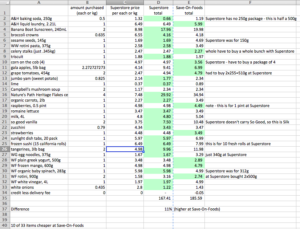 Feel free to check out my number crunching if you’re interested (spreadsheet geek alert). I know a lot of people prefer to see, smell, and touch food before buying, which is understandable. And if you prefer organic, locally-sourced food, check out Spud.ca’s grocery delivery service. It’s like having the farmers’ market come to your door. 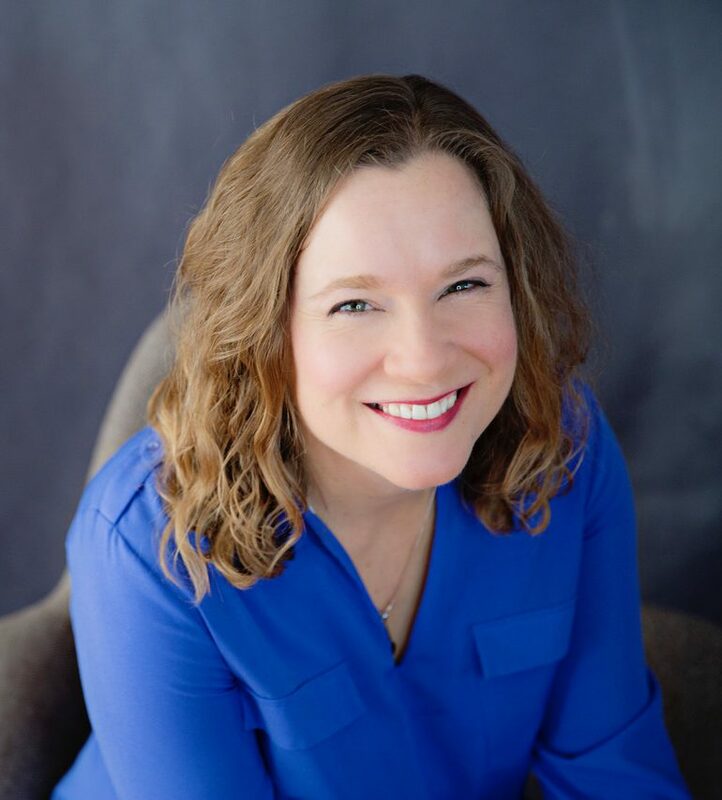 But delivery from Save-On-Foods could be a win if you’re a working parent, have limited mobility, are just returning from a vacation, or just see shopping as an unpleasant chore. It also helps you avoid impulse buys, which grocery stores are finely engineered to trigger, and it will force you to do a bit of meal planning. But expect to pay about 10% more than Superstore, in addition to the delivery charge. And see if you have better luck than me weaning them off of their plastic bag habit. Have you tried it? I’d love to know what you think. Note: As always, I have no affiliation with any of the companies mentioned above. This is not a sponsored post in any way. Just my opinion!